Transplanted Texans with deep roots. Jeff moved to Beaumont as a child and graduated in 1980 from Lamar University. Eventually living and moving between Houston and Dallas several times. Jeff has 2 children and 3 grandchildren. Lynnae also moved to Beaumont in 1980 to start a family and has 4 children and 1 grandchild. Lynnae went on to graduate from Lamar University in 1992 with a degree in nursing. Jeff and Lynnae met in 2001 and started their journey together which has taken them to the far reaches of the globe. They enjoy traveling, skiing , rafting, and hiking. 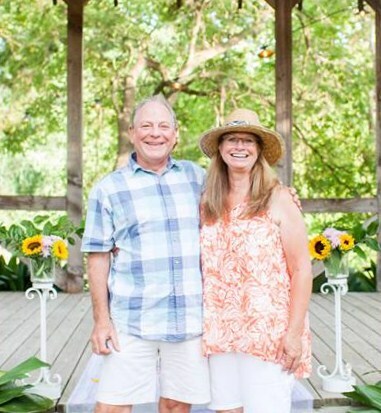 Jeff & Lynnae have relocated to New Braunfels to manage the guest house full time and to be closer to family. Whenever we traveled we have always preferred to stay at the "mom & pop" places vs the resorts and chain hotels. Each place had its own unique quality and we would enjoy meeting the owners and hearing their stories. Whether it was just the two of us or finding a place large enough to accommodate our large blended family we always enjoyed these places the most. When we would find something we really liked we would begin to dream about one day finding something similar and starting our own "mom & pop" place. Our dream came true when we came across The Gruene River Guest House in an internet search for an "inn for sale" in Texas. 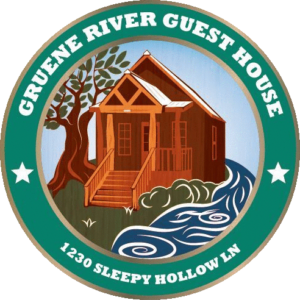 The Gruene River Guest House had what we were looking for, a beautiful property, close to family, large enough for family get togethers of our own, and near outdoor activities that could be enjoyed by all. All this right in the middle of a vibrant community that is 100% pure TEXAS! The Gruene River Guest House is more than just a vacation rental it is truly a special place. It is where memories that are meant to last a lifetime begin. Many of our guests have been coming to the Gruene River Guest House for many years and often book early to save "their weekend". What makes the Gruene River Guest House special is our guests and the memories they make here!